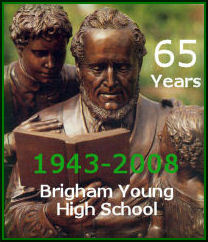 I attended all elementary grades through Sixth Grade at the BYU Training School. The school was so named because it was a teacher-training school, but all of our regular teachers were excellent, long experienced and very capable. I remember good teachers such as Miss Hermese Peterson (whom I think was the Principal), Miss May Hammond, Mrs. Flora Davis Fisher, a Miss Campbell, and Mr. Elliott Tuttle. One day when I was in the Sixth Grade, Mr. Tuttle introduced our class to electro-magnetism. His demonstration deeply affected my interests from that day forward. After his demonstration, three of us boys stayed after class to talk with him. He saw our keen interest, and soon arranged for us to have a personal half hour with a university professor just across the Lower Campus courtyard. 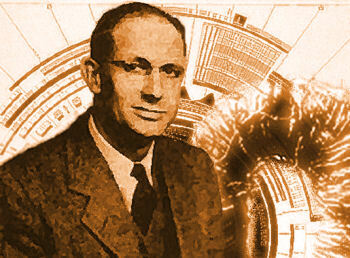 Dr. Milton Marshall was Dean of the BYU Math Department. His daughter Marie attended BYH also. I had experimented with crystal sets early on but had not built vacuum tube receivers. Dr. Marshall was very patient with us, and explained by diagram on paper how to build a one tube (type 30) broadcast receiver using earphones, powered by batteries. He gave us a couple of resistors needed to build a receiver. I built the radio, and was invited to demonstrate it to the Sixth Grade class. Mr. Tuttle allowed each student to come up and listen to KSL on the earphone. That early experience with Mr. Tuttle in Sixth Grade helped to light a fuse that led me to my lifelong career in electronics. I then attended Farrer Junior High in Provo, and there too found some very good teachers. Our principal was Mr. J. W. Thornton (also our science teacher) whom I greatly appreciated. He encouraged us in our "inventions." In the Eighth Grade Mr. Delbert (Deb) Treageagle, an English teacher, told us all about World War I. I thought about how far in the past it seemed. But because of his detailed and lively presentation, I became deeply interested in what it was like back then -- and I still remember his vivid descriptions in some detail. This is an illustration of what good teachers could do to inspire our minds. At the time I did not then fully realize that another world war was on its way. My parents had both attended school on the BYU Lower Campus. My dad, Lovell Sr., came to BYU before 1920 from Clawson, Idaho as a Chemistry major. My mother, Hazel Foote, came to BYH from her little town of Glendale in Kane County, Utah. She graduated in the BYH Class of 1923. They met and later married in 1924. I know they felt that the BY Training School and BYH were the best school for me and my brothers and sisters. During those years it was very hard to get the extra tuition required, but they made that sacrifice for us. I attended my first year of high school at Provo High, and I have no idea why, but I know my year there was a good experience, too. I had good teachers both at Provo High and at BY High. Our classes were pretty evenly divided between the "High School Building" -- sometimes known as the "Arts Building" -- and the "Education Building". 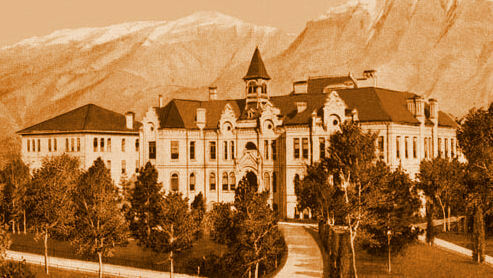 The Education Building is now the flagship building of the Provo City Library at Academy Square. 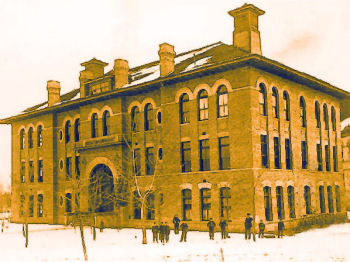 I took classes in chemistry, physics and history in that old building. The upper floors of the two buildings were connected by an attached "bridge hallway" or "catwalk" on the third floor. Both Farrer Junior High and BY High school faculty members in those days felt it was important for us to participate in dances. At Farrer they were scheduled monthly, and in our senior year during afternoon school time. These dances were very helpful to me and my friends in developing wholesome relationships, and for teaching us courtesy and manners. Some of the dances were grand affairs. These ideas and goals seem to have been lost in present-day education. School proms today are way too expensive, over-glamorized and complicated. Young ladies then always had lovely dresses for the proms, and the young men always presented a corsage to them. Transportation was not as easy then. 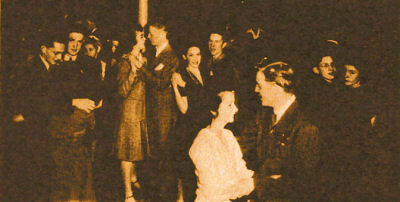 Dance at BYH in 1943 -- it wasn't this dark! One summer I had a job doing maintenance at the BY High school building, and I was using a large container of ammonia, mixing it with water to clean the floors. Somehow the large container of ammonia broke and spread over the floor. The large wide central stairway carried the powerful fumes throughout the building and the building had to be evacuated because the fumes were powerful and dangerous. By 1940, when I was a sophomore, I had studied and earned a Federal Communications Commission Amateur Radio license, and I built a small CW (continous wave) transmitter. It was not voice modulated, but was used to transmit and receive Morse Code. 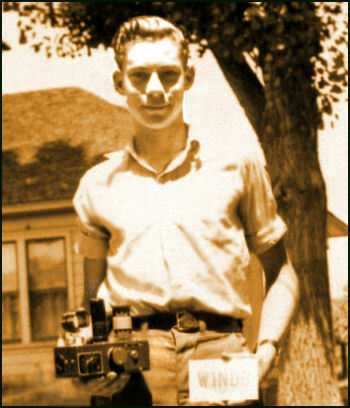 Lovell Killpack at age 16 in 1941, holding his CW radio transmitter. The card is a "QSL card" from a radio operator he had contacted in New England -- probably W1NDB. Lovell's call sign was W6STC. After the war the government changed it to W7STC, and then to a "two letter" call sign, W7CU, in about 1950. That is the call sign he still uses today. As I became very proficient with Morse Code, I managed to communicate with people nearby and in distant places. Before church on Sunday, November 31, 1941, I managed to contact Scofield Barracks near Honolulu, Hawaii. Contact that far away was a little unusual for the small radio I had built. 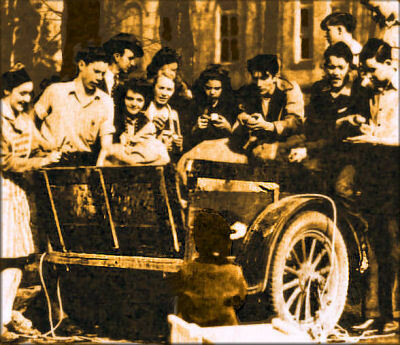 Remembering how much fun it was to reach people that far away, I tried it again the following Sunday morning, on December 7, 1941. 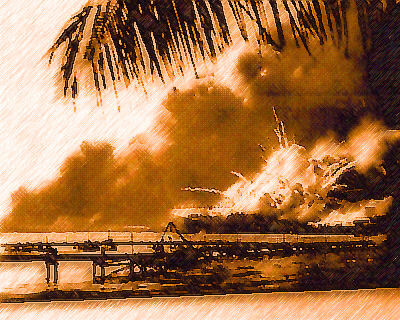 This time I heard reports of Pearl Harbor being bombed! I could not believe my ears. I ran upstairs from my basement room and told my dad. I remember our family gathering around and listening to the news on our big radio in the living room. The second world war was on. Soon after this we listened to President Roosevelt address congress and the nation, speaking of December 7th as "a day that will live in infamy." BYH students, having formed our own Victory Corps, adopted projects with the goal of supporting the war effort. For example, we were involved with a project to distribute the potato crop to help families survive the tough economic times. A BYH Victory Corps project. In the photo above, found in the 1943 Wildcat yearbook, are members of our Drama class, taught by Morris Clinger: (left to right) Muriel Jones, Lovell Killpack, Mr. Clinger, Norma Robertson, Elaine Eyring, Ella Peck, Violet Henrie, Mauray Payne, Reed Wayman, Mark Graham, Bill Lifsitz and Glen Pinegar. The child (foreground, facing the trailer) is a member of a family involved in the effort. The Lower Campus Arts Building stands in the background. I really enjoyed playing football. In 1942 our Wildcat team took second place in the Northern Region in the State High School six-man football play-offs. Coach Dave Crowton was a wise and friendly man, and the players loved him during our football years, and stayed in contact with him for the rest of his life. Coach Crowton warned us about washing our hair too often; he joked that he was an example of someone who had made this mistake, and that was why his hair was thinning so much! Two of our football players made indelible impressions in my memory: First, there was J. L. Mecham, who was so unbelievably fast that he could pivot and twirl away from anyone who was trying to tackle him with the football. Second, Don Baum was such a serious player, and I have never forgotten how ferocious he could be on the football field. BYH did not have a Radio Club while I was there. However Mr. Morris Clinger did stage some great performances, including both radio plays and stage plays. Looking back now, I think I did a better job in the radio plays. Killpack & Deanne Merrill in "Incognito" - 1943. These opportunities to perform were very good for the students involved, and heightened our interest in radio and the arts. Shortly after receiving my amateur radio license in 1940, I had a call from Arch L. Madsen, manager at the new KOVO radio station in Provo. He invited me to his office above the old Hedquist Drug Store on Center Street and Second West in Provo. I recall that he had a picture on his wall showing Noah's ark and the words "It wasn't raining when Noah built the ark." He encouraged me to take the commercial FCC examination for Radiotelephone First Class, which I did soon afterward -- but I failed it. I persisted, and a year later I was successful at passing it. Mr. Madsen hired me to do part-time work at the KOVO transmitter building near the viaduct in Provo. With my bicycle, which I bought with money earned from my job delivering the Deseret News, I peddled there on Saturdays and sometimes on Sundays, and worked there until I left for the war, August 9, 1943. Arch Madsen was a man with a vision and great foresight. He had a limp in his leg, but he never let it bother his determination and recognition of the great importance of broadcasting. He began doing exciting things that took other broadcasters many years to emulate. For example, right after the war we used surplus FM transmitters removed from military tanks, for "remote" broadcasts. We set up and operated many unique remote broadcasts. Mr. Madsen strongly believed in local news coverage. Often I helped him broadcast panel discussions by the Provo Education System in the KOVO studio on Center Street. Panelists included Stella Oaks [mother of Elder Dallin Oaks, BYH Class of 1950] and other local educators. KOVO scheduled weekly Sunday live broadcasts featuring organist J. J. Keeler [BYH Class of 1931], originating from the Provo Tabernacle. After the war I worked as a studio broadcast announcer for a while, then became their chief engineer. 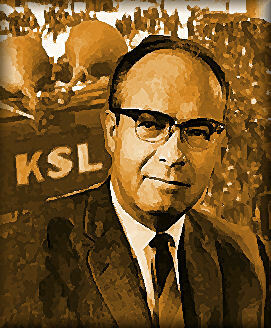 Arch Madson went on to head up KSL, and then Bonneville Broadcasting. My senior year arrived, and unfortunately the history class at BY High came right after lunch. I was working after school, and I had a hard time staying awake in history. Today I think history is very interesting, but back then it couldn't keep me awake. I got into a bit of trouble because sometimes I "sluffed" the class. Principal A. John Clarke called me into his office. I made it through only because dear Anna Boss Hart agreed to help me make up the class, and I graduated (late). At the end of 1943, Principal Clarke, as well as Arch Madsen, wrote flattering letters to the U.S. Army Air Force Cadet Examining Board, recommending me. It worked and I was accepted. Now, all of this I recount to give others a feeling of what it was like during my BYH days. But my point is that there were many GOOD teachers and GOOD schools in Provo then, too! There were talented, good and willing teachers all around us, as I am sure there are today. BYH Faculty Early 1940s - Click to enlarge. 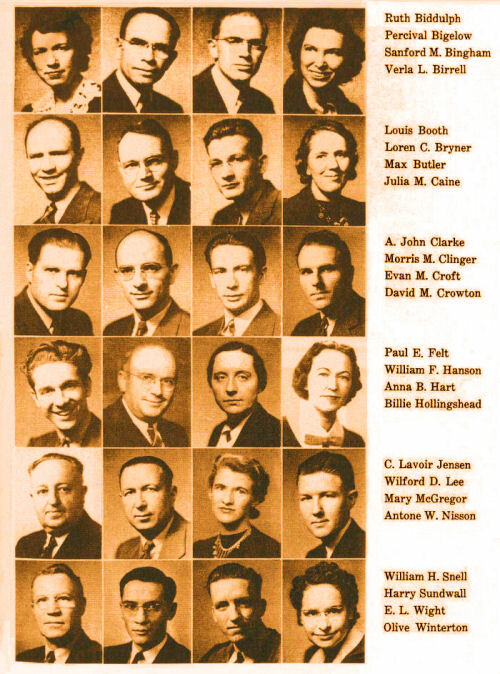 Ruth Biddulph, Percival Bigelow, Sanford M. Bingham, Verla L. Birrell, Louis Booth, Loren C. Bryner, Max Butler, Julia M. Caine, A. John Clarke, Morris M. Clinger, Evan M. Croft, David M. Crowton, Paul E. Felt, William F. Hanson, Anna B. Hart, Billie Hollingshead, C. Lavoir Jensen, Wilford D. Lee, Mary McGregor, Antone W. Nisson, William H. Snell, Harry Sundwall, E. L. Wight, Oliver Winterton. Lovell A. Killpack, Jr. played BYH football, sang in the Cantata, and participated in stage and radio plays. His parents are Lovell Albert Killpack, Sr., and Hazel Foote Killpack [BYH Class of 1923]. Following graduation, he was due to be drafted into the Army Infantry in the summer of 1943, but he learned a short time before that the Army Air Force was looking for Aviation Cadet trainees. With a good letter of recommendation from Principal A. John Clarke (BYH 43) and another one from Arch Madsen (KOVO), he was accepted. From August 9, 1943 until October 1945, Lovell trained and graduated from the program, and became a fighter pilot in the Air Force. He flew the P-51 D Mustang in 1945. The war, however, was nearing its final months, and Japan surrendered before Lovell was called overseas. He was then honorably released. After the war he served in the "Ready Reserve" and specialized in Communications. He became a Lieutenant Colonel before his retirement in 1985. Lovell met his future wife, Beverly, at a church dance activity while he was stationed at Luke Field, Arizona, and they were married in Salt Lake City in January 1946. Following the war, Lovell came back to his home in Provo and worked for KOVO Radio, while he attended BYU. 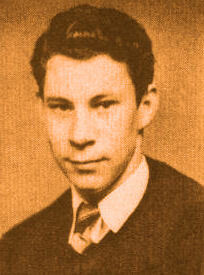 He graduated from BYU in 1949 in Fine Arts. In 1953 he started and served as owner of his own commercial communications company, a Motorola affiliate. This business is still operating today, one block north of the Scera on State Street in Orem, and is run by his two sons. 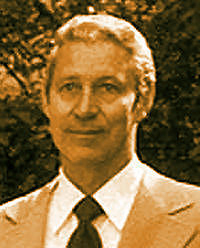 Lovell Killpack served as a bishop and high counselor on the BYU campus in the late 1960s and early 1970s. 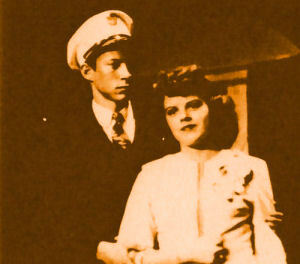 He and Beverly served together in the Provo Temple. They also filled a mission together in 1978-79 at New York City. They are the parents of six children and some wonderful grandchildren.